Liberty Tax thinks 25 percent of its customers will file PPACA forms. 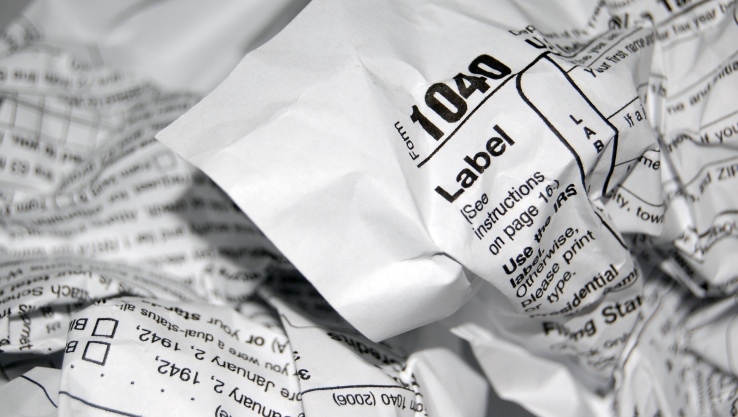 Consumers who get advanced premium tax credits will no longer get to use Form 1040EZ. Tax-preparation companies are hoping the complexity of Patient Protection and Affordable Care Act (PPACA) income tax forms will bring a surge of business their way. Executives from H&R Block and Liberty Tax celebrated the arrival of PPACA paperwork recently during conference calls with securities analysts. Many of the consumers who bought qualified health plans (QHPs) through the new PPACA public exchange system are using a PPACA premium subsidy program – the advanced premium tax credit (APTC) – to pay for coverage while the year is under way. Consumers who get more APTC money than they should are supposed to pay some or all of the excess subsidies back in early 2015. If consumers fail to show that they have “minimum essential coverage” – enough coverage to meet the PPACA shared responsibility requirements – and they do not qualify for exemptions from the mandate penalty, they will have to add penalty payments to their income taxes. For typical affected taxpayers, the penalty will be 1 percent of income. Customers who get APTC subsidies will have to fill out Form 8962, and consumers who want to apply for an exemption from the mandate penalty must fill out Form 8965. John Hewitt, the chairman of Liberty Tax, said his company expects to get $40 for each digital PPACA Form 8962 that it helps complete, and that it expects about 25 percent of its customers to file a PPACA form. Forecasting the actual form-related revenue is challenging, because many customers will just fill out the relatively simple Form 8965, Hewitt said. At this point, Liberty Tax is predicting the PPACA form business will increase fee revenue about 2.5 percent to 3 percent in 2015, and more than that in 2016. One source of optimism: Liberty Tax believes Form 8962 will be intimidating enough to force many consumers who have been doing their own taxes to seek professional help. “Our franchisees are prepared for a robust tax season,” Hewitt said. Bill Cobb, president of H&R Block, is also looking forward to an increase in the percentage of tax filers who seek professional help. ”Those that received an advanced tax credit will no longer be eligible to file their returns on a 1040EZ,” he said. H&R Block has been referring customers who want coverage to GoHealth, and it will continue that relationship in 2015, the company said. The company tried helping consumers sign up for coverage through brick-and-mortar offices, but that approach brought in too many customers who needed help with signing up for Medicaid and were not eligible to buy coverage through the PPACA exchange system, Cobb said.